Little Witch Academia TV: LWA TV has kept on missing these lists, not by our own choice but because they kept obscuring this information. We do have some exciting news about the final two episodes for a change, though. For starters, episode 24 will be storyboarded by the veteran Nobutoshi Ogura. He’s a bit of an obscure industry legend, who nowadays focuses on animation work for extraordinary projects and some storyboards on Trigger productions. He had to miss the first half of LWA TV entirely, but has become a regular presence on its last episodes. Horror is always his forte (an aspect his excellent pupil Masashi Ishihama inherited), so chances are that he will exploit this darker final arc to insert some striking scenes. And when it comes to the finale, expect a true studio party – equal parts messy and spectacular. 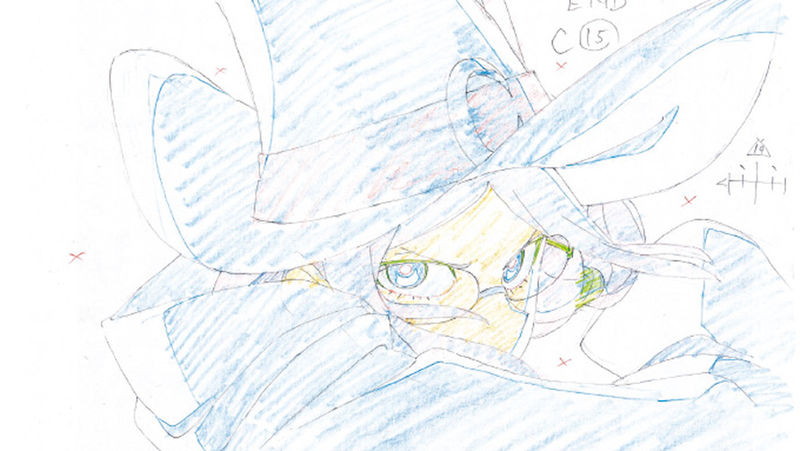 Both sushio and Imaishi have reportedly contributed to the storyboards, and the staff kept on hyping an amazing scene by Trigger’s young ace Kai Ikarashi. While the production overall can’t measure up to previous iterations of Little Witch Academia, they might have pulled some memorable work to give it closure. My Hero Academia: This upcoming lineup of creators has totally screwed with my previous predictions and stablished a rather unpredictable staff rotation. 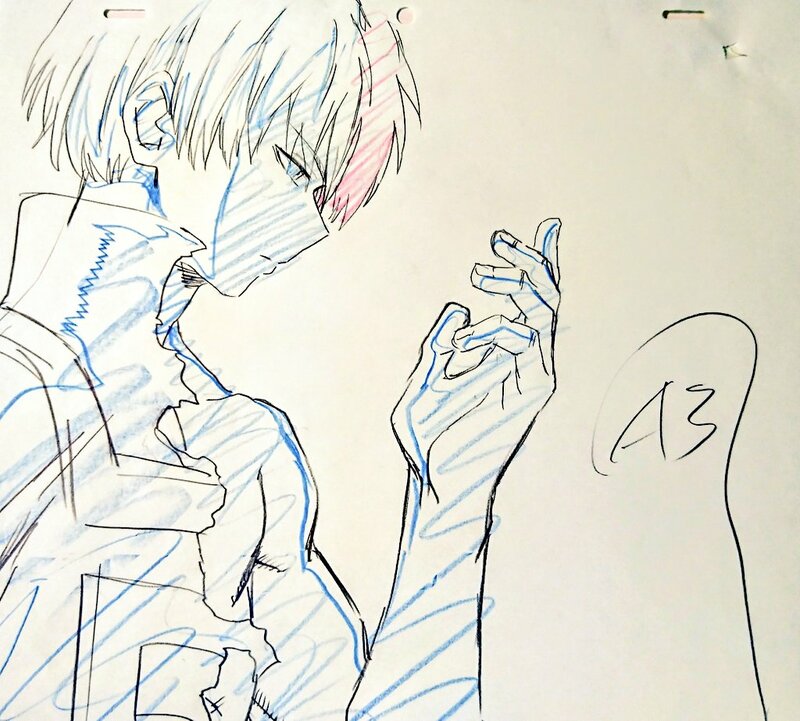 The episode 22 animation team with Takaaki Izumo and Takashi Mitani is quickly returning to supervise Bakugo and Todoroki’s fight in episode 25. The storyboard will be in the expert hands of Ken Otsuka, while episode direction will be handled by episode 21’s Satoshi Takafuji. As if this wasn’t surprising enough, episode 26’s staff is an even more unusual crew. Animation direction will be handled by Nomad’s Makoto Koga which tells us it will be outsourced…but to my surprise, episode direction will be done in-house by BONES’ Takuhiro Kadochi. That should ensure that the studio and main staff have more control over the quality of the layouts and animation, which hopefully will lead to a stronger output. Episode 8’s Satomi Nakamura (which was coincidentally also outsoured to Nomad, though with their own episode director) drew the storyboard. And that’s everything we’ve got, because the show is going on a break for a week after that. Good for the production’s health, bad for the patience of the fans! Boruto: Naruto Next Generations: Boruto’s adaptation is like a rollercoaster, occasionally elevated by great pieces of animation but then ready to dive into an outsourced mess again. However, things are looking a bit more promising this month! The always reliable Yoko Suzuki, whom Bleach fans may be familiar with, is doing some animation supervision for episode 12, while excellent animator Koji Yabuno is doing the same for episode 13. But certainly the most promising one should be episode 14: directed and storyboarded by the chief director Noriyuki Abe, accompanied by Masayuki Kouda on the animation director’s seat alongside Yuko Matsui. We should expect the project’s animation aces to join them, as this is clearly been deemed a very high priority. Eromanga Sensei: Rather than the finale as you would expect, the episodes that’s receiving lots of attention within the industry is this weekend’s #11. The fact that it’s in the hands of the series director Ryohei Takeshita, who has done a better job with the material than many people expected or even wanted, is rather telling. Besides his finesse with comedy, the series has been constantly elevated by a crew of animators who simply excel at humanizing characters through movement. Many of the regular stars have confirmed their presence this week, which will even include some surprises like a very talented up-and-coming korean animator. Willingness to work with youngsters has been another pillar sustaining the project! Tiger Mask W: You might have encountered other series that had their narrative climax before the end, then followed it up with an amusing epilogue. Tiger Mask W is a particularly interesting case, since it placed the main staff (Toshiaki Komura and the veterans Junichi Hayama and Hisashi Kagawa in charge of the animation) on episode 37, to give closure to the actual story. They’re all very reliable creators, and yet I find the lineup for the epilogue much more exciting: we’ll see Haruka Kamatani directing once again, with Kodai Watanabe supervising the animation. The episodes they’ve crafted together feel like they operate on a different level altogether, so that might be an excellent nonstandard way to end the series. KADO The Right Answer: And while we’re talking about Toei, fans of KADO should be excited for episode 11 as that marks the return of Ryochimo. The last time he has that much input in an episode we even got an exceptional piece of 2D animation within a supposedly fully 3D project. If there’s anyone to make the best out of an experimental digital project, that’s chimo! As a curiosity, the episode airs next week and he tweeted that he finished his workload just yesterday. There’s something to be said here about how 3D projects are being sold as an inherently more efficient production model, and yet these people are still cutting it close. But that might deserve a post of its own, so let’s leave it at that. I’m pumped for more Ryochimo especially after how Kado has been shaping up over the last two weeks. I’m aware, it’s just that recently (particularly with the NHK report) the vague idea of “digital production” is being held as the efficient savior of the industry and…we sure aren’t there yet, at all. Boruto’s animators can allow themselves to do rough layouts since them are going to be corrected or directly re-drawn by Hiroto Tanaka anyways. Just saw the last episode of Tiger Mask W and let me just say, give Kamatani a show to direct! 37 was my favorite episode but this was just something else and I’d love to see what she can do with a whole show to work with. I bumped my rating of the show just for that episode. I’m glad Tiger Mask W has made even more people find out just how good she is. She’s been consistently knocking it out of the park with everything she’s involved, all while handling responsibilities that someone with her experience isn’t really meant to. I’d really love for her to land a project…with Watanabe if I’m allowed to choose, since he’s also been performing better than he has any right to. His first storyboard didn’t feel like a newbie’s at all.